According to the American Sleep Association, insomnia is the most common sleep disorder, affecting 30% of adults with short-term occurrences and 10% of Americans suffering from chronic insomnia. Insomnia can be defined as a sleeping condition where the body finds it hard to fall asleep or remain asleep. Researchers have identified that insomnia occurs as a result of the brain that sends signals to keep the body awake and continue to send these signals to the body, hindering the brain from sending signals that trigger the body to fall asleep, thus keeping people awake at night. Even though people experiencing insomnia may feel tired, these brain signals keep them awake. The average adult needs between 7- hours of sleep each night for their body to function normally. People you are living with insomnia get a significantly less amount of sleep, which affects their health and day to day lives. Have you ever had a bad night’s sleep and felt like you couldn’t even think straight or felt that you couldn’t function? This is a direct result of your brain being overworked and was not given adequate time to rest and recuperate. We can all relate to how reduced our basic functioning is with a terrible night’s sleep, however, can you imagine the how your brain responds to a week of insomnia or even consecutive months of insomnia. Your brain memory function is drastically reduced. A research study published by the Sleep Research society researched the vast ways in which people who live with insomnia are affected. The methodology of this research included gathering data through interviews, surveys, questionnaires, and samples from 48 participants. 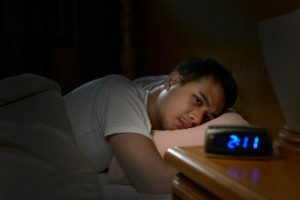 According to the research, people living with insomnia have significantly reduced hours of productivity with people who are diagnosed with insomnia syndrome losing approximately 27.6 days’ worth of productivity, people with insomnia symptoms losing 6.2 days’ worth of productivity and good sleepers only losing 2.8. The study also linked the productivity levels to the work field in regard to how much money people lost when they weren’t productive. The study reported that people with insomnia syndrome lost an average of $1,676 and people with insomnia symptoms lost $601. Insomnia affects the economic circumstances of a person, which can hinder the quality of life they may hope to have. It is quite obvious that having a poor night’s sleep can affect your mood however in a study published by the Journal of Internal Medicine; the researchers searched to find the meaning behind this mood by looking at the metabolic rate of the participants affect a night of poor sleep. 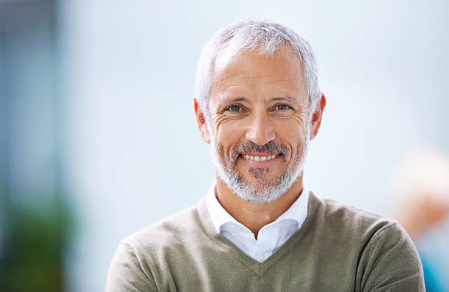 The study, in addition to other studies conducted prior, shows that sleep has a great effect on mood and personality changes and this could be as a result of a lack of EEG sleep. After a poor night sleep your thoughts may seem clouded with fatigue as a result of your brain not having time to recuperate. 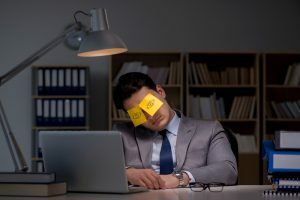 This causes you to retract into yourself, and you may even be irritable or grumpy because your brain is not functioning at its full capacity, so social cues and etiquette are dominated by this fatigue. In addition to how you interact with daily life, insomnia also affects the health of your body in the future. In a recent research study published by the American College of Chest Physicians, researchers looked at the correlation between insomnia and coronary heart disease. In the Nord-Tronledelag Health Study consisting of 52,610 participants between 27-45% of them reported having an acute myocardial infarction due to difficulty drifting to sleep. While another study which gathered their data from Taiwan National Health Insurance Research database reported of the 22,0040 people who reported having insomnia reported a 68% risk of having a myocardial infarction. People who are living with insomnia have a higher risk of experiencing a myocardial infarction, which in some cases can be fatal. Insomnia is co-related with mental health conditions. Facts from a research study published by Innovations in Clinical Neuroscience journal express that 50 to o80% of people who are living with a mental health condition also suffer from insomnia. Depression and anxiety are the 2 most common mental health conditions seen in occurrence with insomnia. Research from this study reports that approximately 85% of patients living with insomnia are also depressed while at least 66% of people living with an anxiety disorder also experience insomnia. If you are experiencing symptoms of insomnia, it is important that you consult with your doctor first so that they can evaluate what type of treatment would be most effective for you. However, there are some minor changes you can make as well to help your body to drift to sleep at night. You may want to consider limiting the following caffeine, alcohol, and foods that are high in fat because these foods have been proven to keep you up at night and even disturb your sleep cycles because of the components that they are comprised of. Other foods like cheese, cherries, bananas, salmon, chamomile tea and almonds are great food to implement into your diet because they promote sleep and makes it easier for your body to fall asleep. These foods accomplish this by moving through your digestive tract quickly, allowing your body to spend less time and energy digesting these foods and while the vitamins and minerals in these foods help the body to feel relaxed and induces sleep.